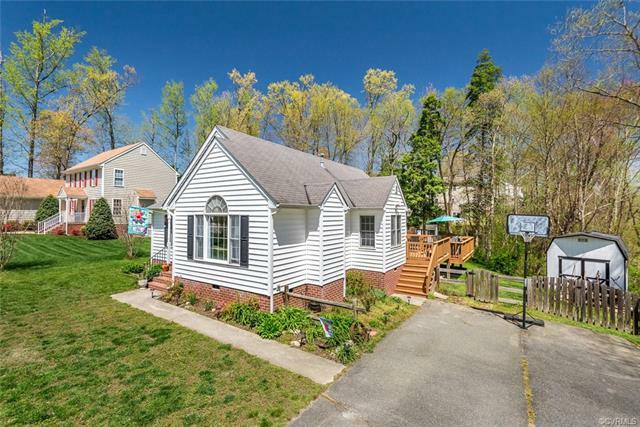 Come fall in LOVE with the property of your dreams in the sought after neighborhood; Strawberry Run of Goochland. Upgrades/features include: Waterfront, Granite countertops, Over 5 acres, Three car oversized garage, Newer vinyl energy efficient thermal windows, Newer thirty year roof, Newer dual zone HVAC system, Tankless instant hot water heater, Fully renovated kitchen and master bath, Freshly painted, and immaculately maintained. This cape style craftsman boasts an open floor plan with high vaulted ceilings throughout the living room showcasing a custom stone wall quarried here in Goochland and a newer gas fireplace…..
BEST DEAL ON THE MARKET. INVESTOR SPECIAL, whole house has been gutted and all new subfloor has been installed. House has vinyl siding and vinyl windows in great shape. Ready to be revitalized and would make a great flip or rental home. 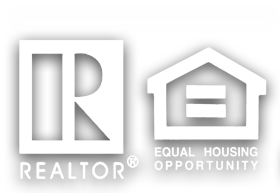 Sellers have too many homes currently and are not able to complete the renovation. You are going to LOVE this immaculate property situated on a corner lot with a FIRST FLOOR MASTER SUITE in the highly sought after Rieves Point neighborhood. Everything in this home is BRAND NEW. Upgrades include; NEW 35 year dimensional Roof, NEW dual zone HVAC, NEW tankless hot water heater, All NEW true hardwoods, NEW electrical panel, NEW carpet upstairs , NEW upgraded Stainless Steel appliances, NEW Kitchen cabinets, backsplash, granite countertops, sink and so much more. You are going to LOVE this immaculate three bedroom home located in the desirable Midlothian area. There are so many amazing features and upgrades including: NEW 35 year dimensional roof and gutters, NEW light fixtures throughout, NEW carpet inside, NEWER HVAC, FRESH paint throughout the entire interior, vinyl siding and windows for maintenance free living, large paved driveway, huge corner lot, fenced in back yard with a 6 foot privacy fence, tile flooring in the kitchen and bathroom, and so much more. You are going to LOVE this beautifully renovated home with no expense spared in the tastefully chosen upgrades. Situated perfectly on a 1 acre lot this home sits hundreds of feet off of the road offering loads of privacy. Features/Upgrades include: ALL NEW windows, NEW shutters, NEW vinyl railings, NEW granite, NEW Stainless Steel appliances, NEW floors throughout the entire home, NEW carpet in the bedrooms, NEW bathrooms including toilets vanities porcelain tile floors, ALL NEW designer light-fixtures inside and out, NEW Insulation and vapor barrier, NEWER florida room showcasing oversized widows with a sliding feature and three new ceiling fans, and so much more. This beautiful brick cape style four bedroom home is being offered at an incredible price. Situated on a HUGE corner lot that is fenced in fully and has a 6 foot privacy fence in the rear. On the first floor there is a large living room, dining room, TWO bedrooms and one full bath along with a nice sized galley kitchen. Upstairs there is one bedroom and a loft area that could be used as a forth bedroom both with newer carpet and paint. In the back yard there is a fully finished man cave or sitting room that offers additional entertaining or storage space. Come take a look and fall in love for yourself. Wonderful Four Bedroom Home in Excellent Condition! Whole Exterior Just Painted! Newer Dimensional Roof! Newer Heating & Air! Thermal Windows! Beautiful Hardwood Floors! New Carpet Throughout the upstairs! The Large Eat-in Kitchen has Lovely Granite Countertops and Updated Cabinets. Enjoy Walking out to your gazebo inside of your fully fenced in back yard and Overlooking the Private Wooded Backyard! Great Family Room with Brick Fireplace, Wainscoting, Skylights, and tile flooring! Spacious Master Bedroom with Walk-in Closet! Master Bath has Double Sinks, new flooring, & has been freshly painted! You are going to LOVE this ranch style maintenance free home! Features include a large open family room with vaulted ceilings, energy efficient vinyl windows, NEW HVAC systems, maintenance free vinyl siding, extremely large back deck just stained for your convenience, new flooring in living areas, updated light fixtures, Brand new tiled shower in the master bath and new Stainless Steel appliances. 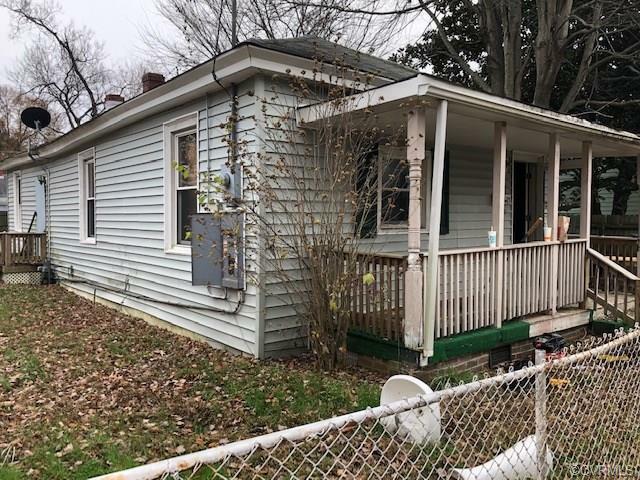 Offering three bedrooms and two bathrooms on a large lot in the desirable Meredith Farms Neighborhood, this home wont last long so come take a look and fall in LOVE with it. Updated brick rancher with attached 1 car garage located on a spacious corner lot. Rear fenced yard with concrete patio. Master bedroom with walk-in closet and master bath with new floor. Two additional bedrooms and updated hall full bath. Family room has new carpet, new paint and gas log fireplace. Large update kitchen with eat-in area, island, gas cooking and stainless steel appliances. Utility room has new washer and dryer. Formal DR off kitchen. Large living room flooded with natural light through large bay window and a fireplace. All appliances, W & D convey. Property hooked up to City Gas. You are going to LOVE this charming craftsman style home sitting on OVER 3 Acres of land in the desirable Midlothian area. The home has a NEW 35 year dimensional roof and newer gutters, Aluminum maintenance free siding and flashing of all trim as well as two detached sheds/garages. Offering three bedrooms this home is situated well off of the road and has been well maintained. Most of the acreage is cleared yard space with a wooded portion in the rear. There are many opportunities with the large lot, possible to subdivide the land, build, or just enjoy the space. You are going to LOVE this meticulously maintained three bedroom two and a half bathroom home located in the desirable Midlothian area. This home features: NEWER vinyl siding and vinyl windows (2 years old), newer HVAC system, impeccable screened in porch with trex decking for low maintenance, fully fenced in back yard, newer carpet, fresh paint, updated cabinets and vanities, exposed brick interior walls in living/dining areas, and tons of storage space. You are going to LOVE this immaculately renovated FOUR bedroom TWO full bathroom home in the highly sought after WOODLAKE community. Situated perfectly at the end of a Cul-de-sac with walking trails, parks, pavilion access, docks, and community pools with fitness centers surrounding you. Features include; New Granite Countertops, NEW Stainless Steel appliances, NEW LED light fixtures, NEW carpet, NEW Bathrooms and Kitchen, JUST painted interior and exterior, Oversized back deck and full front porch, Newer HVAC, Handsome freshly REFINISHED hardwood floors, JUST landscaped entire yard, and so much more. You are going to LOVE this beautifully redone THREE bedroom TWO and a HALF bathroom home located in the sought after neighborhood of BRANDERMILL. Features/Updates include: NEW concrete walkways and driveway enclosures, Freshly landscaped, Entire interior just painted agreeable grey, All NEW carpet upstairs, Updated Kitchen, NEW flooring in Florida/Sun room, Large tiered back deck perfect for entertaining, NEW fenced in back yard, Large master bedroom with en suite bathroom, Newer HVAC system and Hot water tank, Remodeled fireplace, and updated floors throughout. A 960 square foot ranch house, 2 bedrooms and 1 bath that has been renovated with all the following new: Electric, plumbing, wall studs, insulation, drywall, and ductwork. Finishes include Brazilian granite countertops, Italian tiling with river rocks in the bathroom, American scratch resistant flooring, cabinets with soft close drawers, all new appliances, HVAC system, water heater, and the list goes on. The house sits on 1.92 acres of land that is entirely fenced in except for a small section in the front. This lovely rancher sits on a corner lot and offers a good amount of space for a first time buyer or anyone wanting to downsize. It features a bright and sunny Living Room with a large window that radiates natural lighting throughout the room; an eat in Kitchen with ceiling fan, ample cabinets, and includes all appliances. The Kitchen leads to the separate Utility Room (washer and dryer are staying) and enclosed rear porch. There are three generous sized Bedrooms and 1 Bathroom; hardwood flooring throughout; exterior brick edging, awning, siding, cement porch and stoop, storm doors and windows, and some replacement windows. Wow! 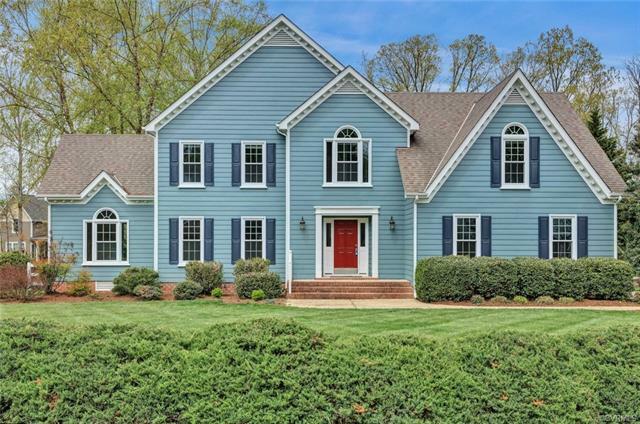 Lovely Georgian style home in Brandy Oaks Estates on over 1.8 acres backing to a peaceful wooded rear yard. Featuring 5 bedrooms and 3 1/2 baths. Enjoy the spacious, bright kitchen with stainless appliances, , ceramic tile, eat in area with bay window and raised bar seating. Family room features a fireplace and hardwood flooring and opens to the front living room or office. The dining room has chair railing, crown molding and hardwood floors. The first floor master features hardwood floors and en suite bath with soaking tub, shower and double vanity. The second floor features all new carpet, a spacious loft area, huge laundry room. Plus a 2 car garage, paved driveway with brick accent pillars, yard irrigation, fresh paint and many new light fixtures. Move in ready! This is the one you've been looking for!